Biologists use the term "sexual dimorphism" to describe species in which the male and female differ dramatically in appearance. And for many species, the old saying "Opposites attract" really rings true! 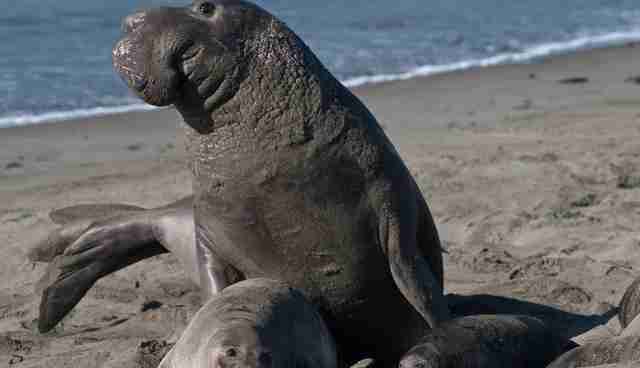 The trunk-like nose for which the species was named is exclusive to male elephant seals, and is used during mating season to trumpet an intimidating (albeit belch-like) noise to assert their dominance. Complementing the female triplewart seadevil's large head and tiny eyes are needle-like spikes that cover much of her body. 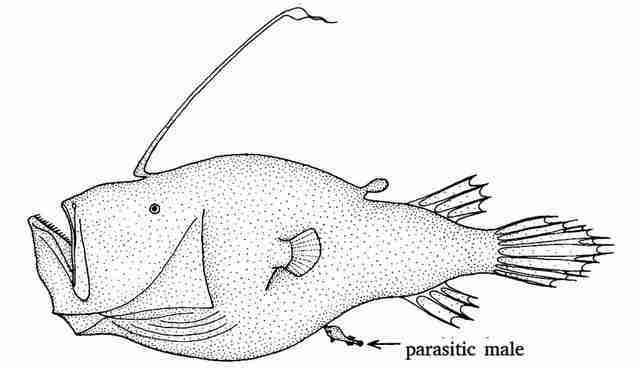 Males are only about a quarter of the size of the females and are almost exclusively found attached to females in a parasitic reproductive relationship. During this process, the males bite on and fuse together with the females, becoming fully reliant on her for blood flow and nutrients. 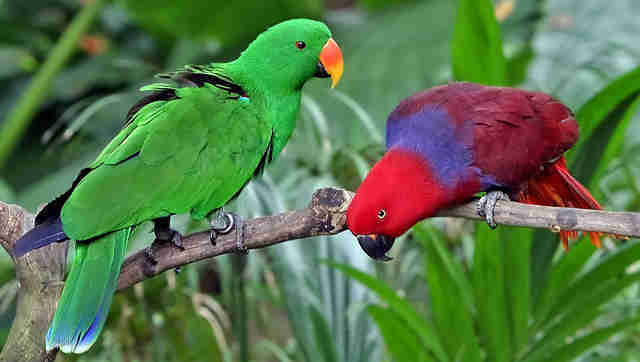 Atypical of bird species, female eclectus (above, right) parrots have the beautiful bright plumage while males are stuck with more camouflage-oriented feathers. The appearances of male and female eclectus parrots differs so greatly, they were originally thought to be separate species! 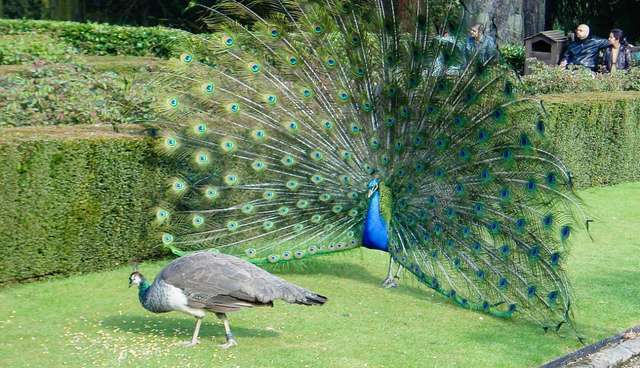 Commonly referred to as peacocks (only the males are peacocks, the females are peahens), peafowl are renowned for their resplendent tail feathers. 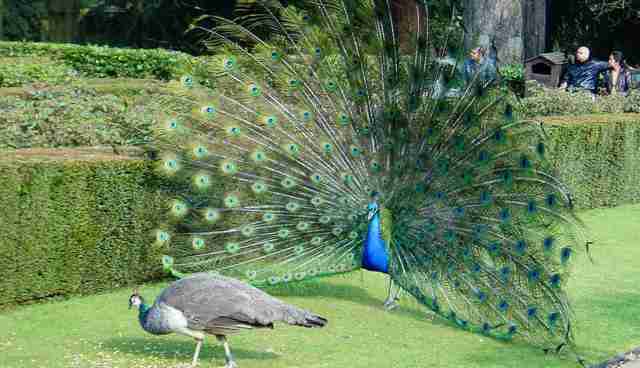 However, only the males have the brilliant trains of blue, green and gold that are used in their fancy mating dances. 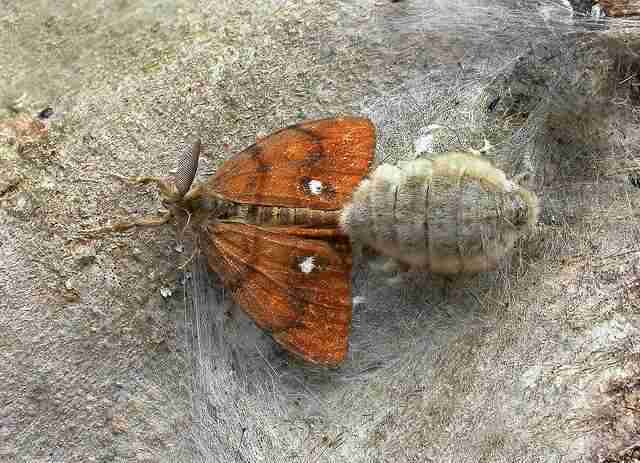 Male vapourer moths are decked out with wide, brownish-red wings with white spots. The flightless females, however, are large, fuzzy, greyish-brown, round-bodied - and wingless. 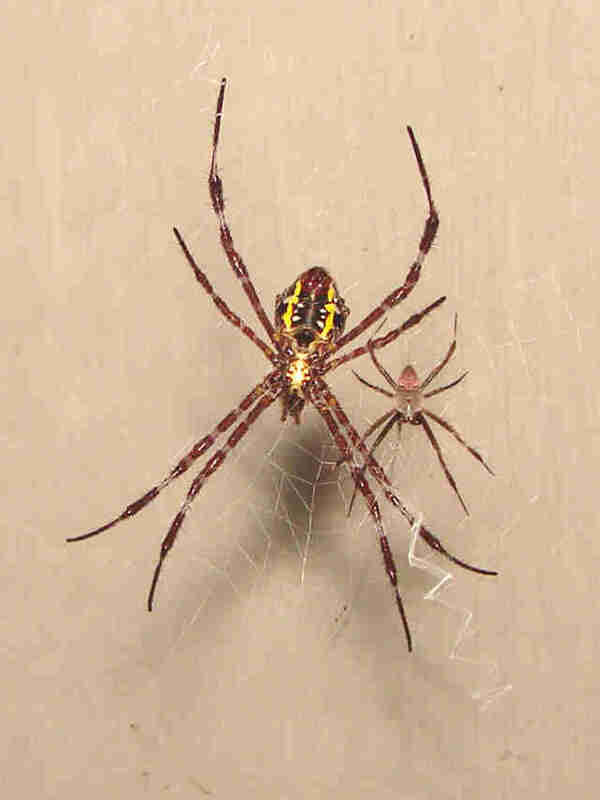 Females have an eye-popping black and yellow body, while the males are brown-and half their size.